Huntington Place homes are located in the South Huntington Beach area of Huntington Beach, California. 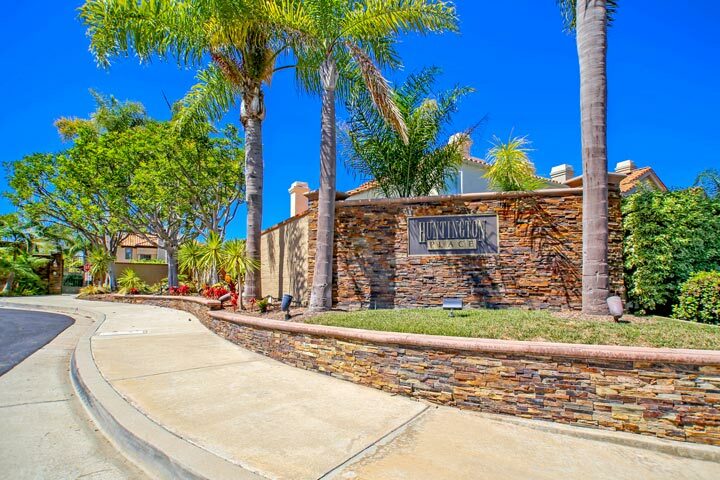 Huntington Place is a luxury neighborhood that features large scale homes in a secure gated entrance. The homes were built in 1990 by J.M. Peters and feature four to six bedroom floor plans that range in size from 3,183 to 4,500 square feet of living space. Monthly association dues are kept very low due not having a community pool nor clubhouse area. The homes are managed by Keystone Pacific who can be reached at 949-838-3261. Please contact them with any association related questions. Below are the current Huntington Place homes for sale and for lease. Please contact us at 888-990-7111 with questions regarding this community and any of the homes listed for sale here.